Is it legal for stories to keep items commonly stolen under lock and key? Not if they’re items purchased [ahem stolen actually…] by minorities and represented by the infamous attorney Gloria Allred. See a video exposé on this woman on the next page. 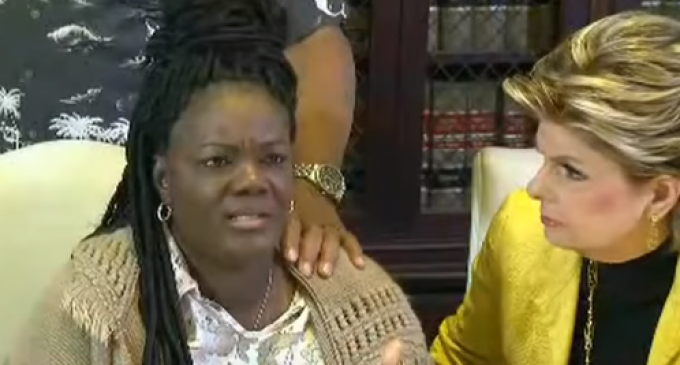 A California woman is suing Walmart for racial discrimination after she went to the store to buy a product and was shocked to discover it was kept behind locked doors. The lady is claiming the product being kept under lock and key was only being stored so due to race, NOT the fact it is every major store’s policy to keep items frequently stolen in locked cases. Essie Grundy starts out her campaign of social justice warrior-esque vigilance in the most prominent way possible by holding a press conference in which she decries the abuses she faces as an African-American woman in “racist” America. The real question in all of this is will Walmart be able to retain their legal right to keep items [coincidently..] commonly stolen by people of color under lock and key? Like they do for every other item commonly stolen by a homo sapien. Are we or are we not supposed to “see color”? I saw a woman shop lift , went to a clerk to report and her reply. . . you are just jealous because you Can’t do it. Lock up your stuff, even your workers won’t stop shoplifters. They lock up pet meds too, I think my dog should head to court.